Exploratory testing is experiencing a renaissance. After the times when the tester had previously prepared scenarios, one by one, came the time for creative work and exploring the meanders of the developed application. However, the experience I gathered during the interviews shows that during this period the knowledge about exploratory testing has slightly disappeared. My experience also shows that this method of testing is not fully understood at present. and together let’s look for tools that will dispel these myths. I hope that at the end of the discussion each participant will be able to build their own definition of exploratory testing. 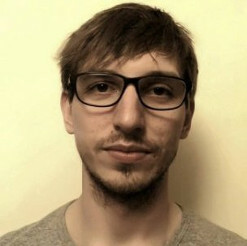 Graduate of Adam Mickiewicz University in Poznań, QA engineer with over 5 years of experience, fan of new technologies, co-creator of DebatQA discussion panels. He took his first steps in testing in the mobile applications department of the American company Wikia (now Fandom). With time he developed his skills into web applications. For over 4 years associated with Cognifide, where he deals with manual, non-functional and automatic tests of applications based on CMS Adobe Experience Manager. He gladly shares knowledge, spreads good practices and supports new employees during introduction. Speaker at such events as: PTaQ, Test Camp, Testwarez or Test Carrots.